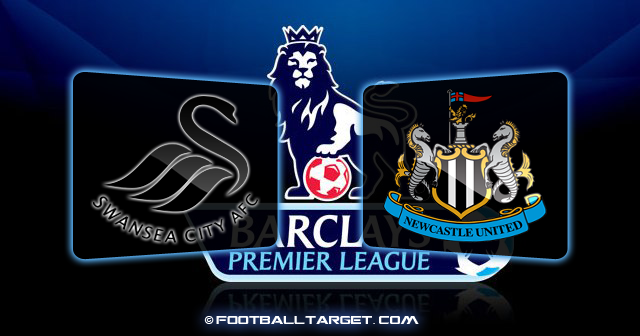 Swansea welcome Newcastle Magpies to the Liberty Stadium this Friday night..
Newcastle again enters into a winning series ,and together with Chelsea threating to Tottenham and Arsenal, announcing that the fight for positions that lead to the Champions League has not yet been definitively decided. In the first part of the Championship, Swansea surprised Newcastle Magpies and took a points from them. After this away game in Wales, Newcastle has two home games with not too hard opponents (if such exist at all in the Premiership), so in case of good results in Wales, they could expect a shift on the Premier league table. But Swansea have already proved this season that they have no respect for anyone when they play at their stadium, Liberty (Liberty Stadium). Here on a “rough ride” passed Manchester City (lost 1-0), Arsenal (lost 3-2), and little bit better passed Tottenham and Chelsea, they took one point each. The three points took only the champions Manchester United. Magpies have injury problems,their attackers Best and Ameobi are sidelined, but in great shape are Ba Demba and Cisse,authors of 23 goals this season for the Newcastle. Swansea :Manager Brendan Rodgers has no fresh injury concerns. Defender James Tavernier could be in contention after he was recalled from League 1 side MK Dons in a bid to bolster the defence in the absence of Fabricio Coloccini (hamstring) and Steven Taylor(Achilles). Midfielder Danny Guthrie (calf) is a doubt, with Peter Lovenkrands (thigh), Leon Best, Sammy Ameobi (both knee) and Sylvain Marveaux (groin) still on the casualty list. Swansea (from): Vorm, Williams, Taylor, Caulker, Tate, Britton, Graham, Sinclair, Dyer, Routledge, Monk, McEachran, Lita, Moore, Bessone, Rangel, Situ, Allen, Tremmel, Gower, Richards, Sigurdsson, Obeng.